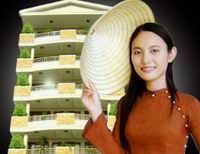 Hue queen hotel - Hue, discount rates at Hue queen hotel. 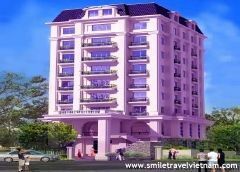 Welcome to Hue Queen hotel! 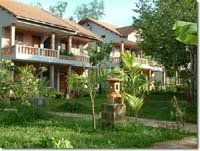 We would like to show our gratitudes towards your spending time learning about and selecting the services of the hotel for your next journey. 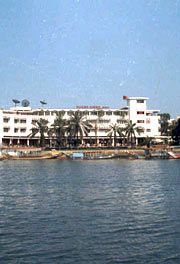 We hope that the brief but compact information of the hotel would be warmly welcomed. 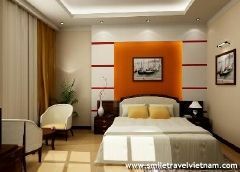 Located in the heart of Hue City with a cool and quiet atmotphere. 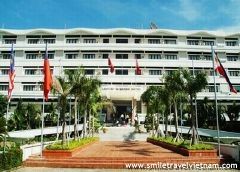 You can walk to the poetic Huong riverside and the Trang Tien bridge in a few minutes. 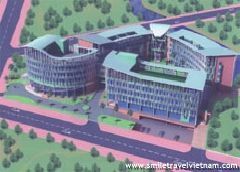 Within a redius of some hundreds of metres round the hotel are banks, post office, stadium, Eurasia restaurant, shops, trade center and leisure center.. 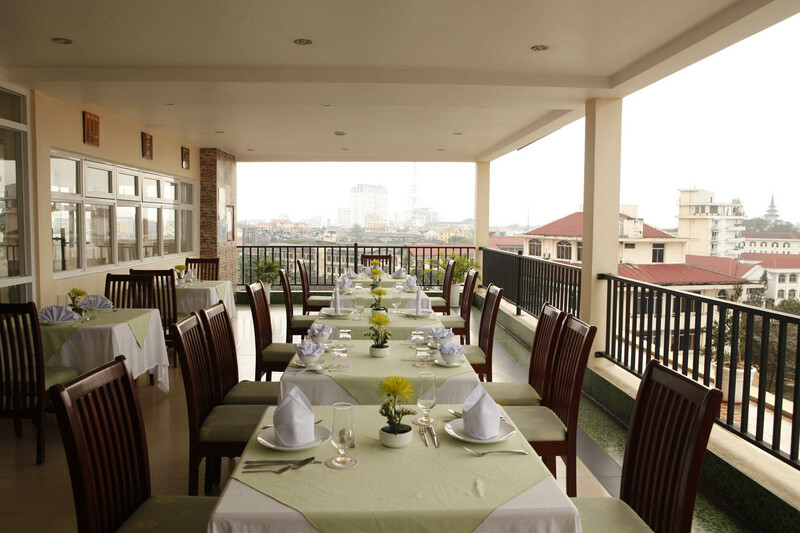 The three star Hue Queen Hotel is a nine-storey building. 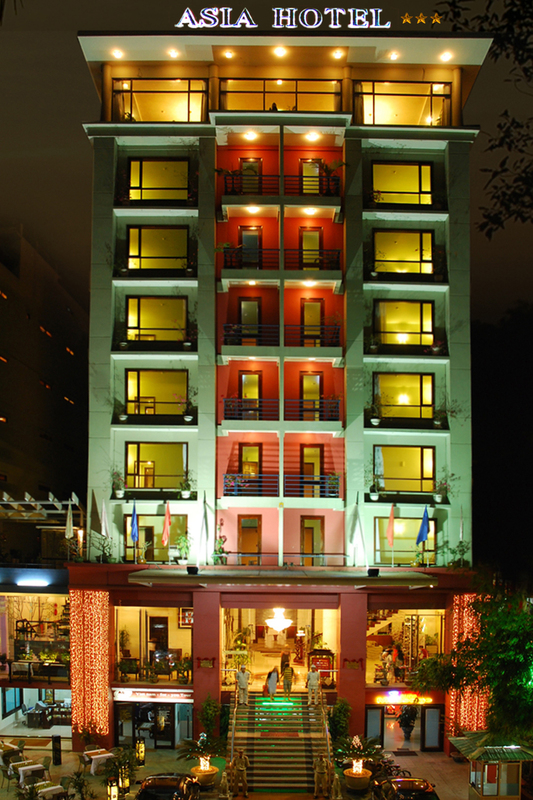 The hotel has 75 rooms and suites equipped with modem facilities and stylishly furnished such as elevator system, swimming pool, restaurant, bar, parking space, the telecommunications system meets the ISO 9001 quality standards, ADSL high-speed internet, Wi-Fi. 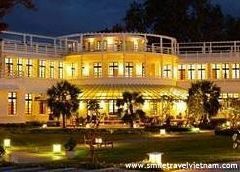 Our zeal, polite, professional and very experience staff are always ready to server guests of honour. 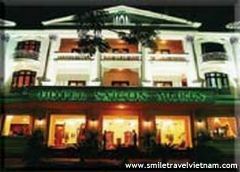 Hue Queen Hotel is one of three hotels of Thanh Tan join-stock company( Thanh Tan hotel has 20 rooms, in Hue, Thanh Tan Spa Resort has 40 rooms, thatched cottage, house on stils, restaurant, leisure center, hot mineral water zone), suitable with MICE tours. 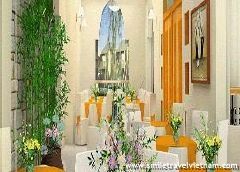 A 200 seat restaurant and two lobby bars serving varieties of local specialties, European – Asian food, snack and beverage.